All content on this blog was created and/or compiled by Project to be Read. No images, text or quotations may be copied or reproduced without written permission. Authors and publishers may use parts of reviews for quotations as long as I am notified. Project to be Read is licensed under a Creative Commons Attribution-NonCommercial-NoDerivs 3.0 Unported License. Today is the final day *sniff* and the topic is Top 10 Books I’m Looking Forward To in 2013. Enclave and Outpost were both stand out reads for me this year and I loved how the author constantly adds to the world building with clever twists. Horde is the last in the Razorlands trilogy and I'm really looking forward to it. I loved The Name of the Star because the Ripper storyline was particularly well done and Maureen Johnson got London right. Nothing is more irritating than seeing the city where I live butchered by a lack of research. I'm hoping this is as accurate as the last and I can't wait to see what is next for Rory. I loved Wither and Fever so I'm really looking forward to seeing where Rhine ends up at the end of the trilogy. But it isn't just Rhine I'm interested in: I also want Cecily to have her happily-ever-after and to find out what's happening with Rhine's brother Rowan, not to mention poor Gabriel. Another last in the trilogy pick here and this one is the final Darkness Rising book. The previous book ended on a bit of a cliffhanger so I'm looking forward to see how it continues, and if there is a follow through with connecting these characters with the Darkest Powers characters. One dull Friday this year I grabbed Across the Universe from my bookshelf thinking it would be a good read. I was blown away, finished the book that day and then went and bought and read A Million Suns the next day. I also preordered Shades of Earth. To say I'm really looking forward to it would be a massive understatement. I love the Psy-Changeling series so I had to include the 2013 release, even though the title and cover haven't been revealed...and nor have the characters. One thing I love about the series is that even though a different couple takes the lead in each book, the previous characters still feature and there is a great twisty-turny backstory throughout the series. Another unnamed coverless entry by Nalini Singh, but this time she's revealed that this will be a return to Elena and Raphael as lead characters (they've taken a backseat in the last two books). I adore this series and it'll be great to get back to them and see what's happening in their world. I can't wait to see what the Cadogan vampires will get up to next, especially as Biting Cold ended in such away that things have really changed for them. 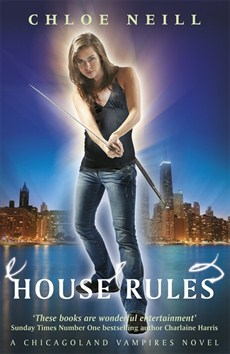 This is the first of two new Chicagoland Vampires books out in 2013, with Biting Bad following in August. 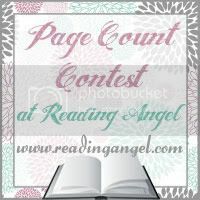 Honourable mentions: Omens by Kelley Armstrong, Seawitch by Kat Richardson (I'm waiting for the paperback) and Mountain Echoes by C.E. Murphy. I'm looking forward to so many new books in 2013 I find it hard to narrow it down! I struggled too, and then I went and read other people's lists and realised there were even more awesome books than I expected. Ooo, definitely looking forward to The Rising and Shades of Earth. Great list! Same here! It's a bit sad to see the trilogies ending though. I've read up to #9 in the Sookie Stackhouse series so far. I think once this last one releases I'll read the last few. I'm really curious who she ends up with too! I think I'm up to about book 9. 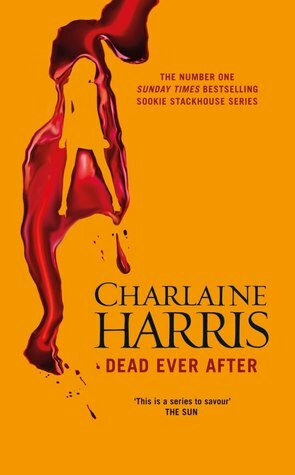 I'm taking part in a Sookie Stackhouse Challenge in 2013 so I'm hoping to finish up the series. 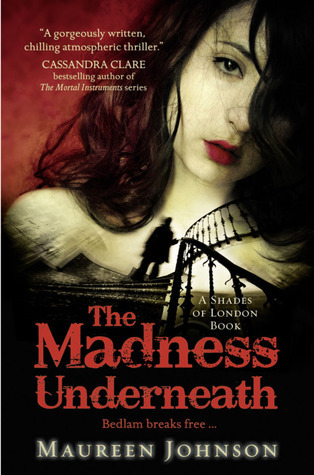 Oh wow, I didn't realise there was another book after The Raven Boys. I would really like to know what happens to Blue, Gansey and the rest of the crew! Thank you for stopping by at A Whisper of Thoughts.. They are awesome series! I'm totally hooked on the Guild Hunters and I'm so glad the next will be back with Elena and Raphael. I hope you enjoy Wither if you give it a try! Ohh, Sever! I really want this one, too. And The Raven Cycle, too. I'm so curious. God, too many books. I like your picks, I should really read Enclave! HORDE!! Yes, this is a good pick that I don't think I included, but I'm definitely excited for. 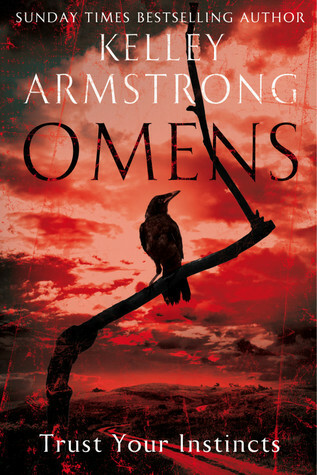 Omens looks fab as well... exciting to see a new series from Kelley! They are great! Let me know what you think if you give them a shot. I haven't started the Wither series or the series by Beth Revis. I'm still debating on these two. Thanks for stopping by. I really enjoyed them so I hope you do as well if you give them a go. It's really pretty but unfortunately it means waiting until May :( Turns out we get the good cover and the bad release date. So do I! 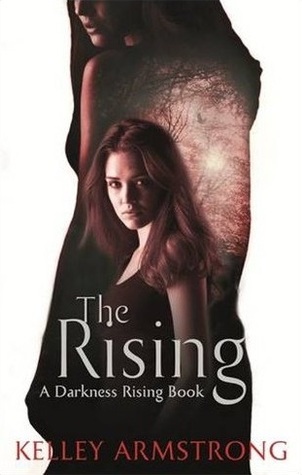 The UK covers for the Darkness Rising trilogy are gorgeous. Interesting list, I can see a lot of them are books in a series! Mine's kind of like that too haha. 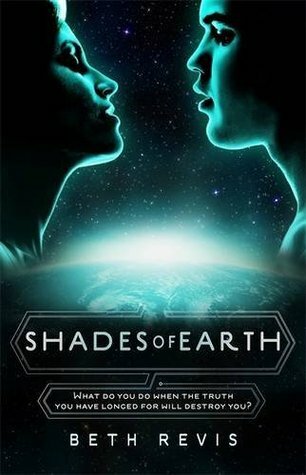 I like the cover of Shades of Earth. I do tend to be more excited about series I've already started, although I'm now looking forward to some debuts thanks to other peoples lists lol! I still haven't gotten around to reading Fever! Or Across the Universe! I definitely have to work on this. I loved both of them so I hope you enjoy them when you get to them! Oh goodness, you just made me add a few more to my TBR pile! :) I never did get to The Name of the Star and now I want to read The Madness Underneath! And I didn't realize the 3rd in The Chemical Garden was due. I swear my 2013 mantra is "too many books, too little time..." Great list! I also can't wait for Shades of Earth! 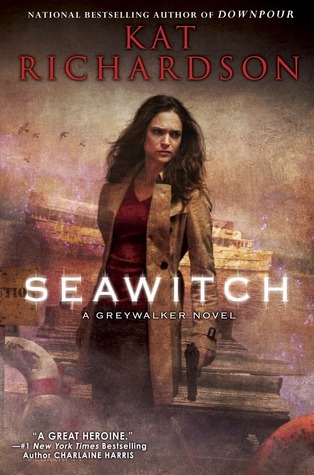 For Sever, I still need to read Fever but I do really curious already about how this series would end. Fever definitely changes things for Rhine so now I really want to know how it will all turn out in the end. I am a big Sookie fan too! 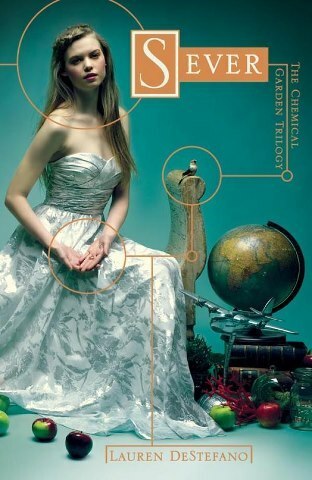 But I wasnt so happy with the last book =[ I am very curious to see how the series ends though! Great picks! I've not heard the best things about the last book :( I'm about 3 or 4 books behind so I haven't read it yet. I'm a bit nervous so I'll probably wait until I have the last one before starting. Wow, I LOVE the cover for Sever (the covers for this series are probably my favourite all time covers), I really should get on to reading Fever so I can read the last book and see how it all ends! It's very pretty, although bizarrely the UK is more blue and the US is more green. Randomness lol! Thanks for stopping by my post yesterday! Thanks for stopping by Carmen! Some of these covers are so different from the US ones! We have Shades of the Earth in common :) I can't believe I forgot about the conclusion to the Southern Vampires series! Oh, and The Rising too. 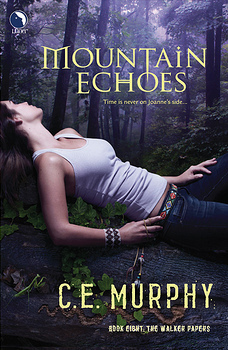 Shades of Earth and the next Raven Cycle book are definitely top priorities for next year. Oh my word, I'm so excited to see what happens! Excellent list, yet again! Thanks Litza :) I'm so excited for this year's books! I'm Team Eric too :) Thanks for stopping by Cayce! All reviews state the origin of the book. The majority of my reviews are for books that I have purchased for myself. Some are borrowed from libraries or friends, others are given as gifts. Any books received for review are given in exchange for an honest review. I do not charge for reviews and receive no monetary dispensation from Project to be Read.